Enterprise, AL (April 25, 2012) – BamaJam 2012 is excited to reveal the latest additions to its exceptional and ever-growing line-up. Country veteran and Grammy-winner Ronnie Milsap, Grammy-nominated and Alabama native Jamey Johnson and Grammy-winners Third Day are the latest to join the upcoming BamaJam 2012 festival to be held Thursday, June 14 through Saturday, June 16 in Enterprise, Alabama. Acts previously announced include Kid Rock, Tim McGraw, Zac Brown Band, Alan Jackson, Eric Church, Willie Nelson, Sheryl Crow, NEEDTOBREATHE, Casey James, Gov’t Mule, Uncle Kracker, Yelawolf and more, with more to be announced in upcoming weeks. For more information or to purchase tickets, please visit www.bamajam2012.com, or Ticketfly.com, or charge by phone at (877) 4FLYTIX or (877-435-9849). BamaJam 2012 is pleased to offer the VIP Artist Area ticket for only$399. The VIP Artist Area ticket will grant you access to get up close and personal with the stars themselves while they are performing! There are a limited number of VIP Artist Area Tickets, so act fast. VIP Artist Area Tickets do not have to be purchased in addition to General Admission Tickets. Lawn chairs are permitted in the VIP Artist Area. Born in the mountain town of Robbinsville, NC, Ronnie Milsap was raised by his bluegrass-loving father and by his grandparents in the unincorporated Meadow Branch community in western North Carolina. Each weekend, the struggling family gathered around a battery powered radio and tuned in to the Grand Ole Opry on WSM, listening to Roy Acuff, Ernest Tubb and other greats. He attended a school for the blind in Raleigh, enduring abusive treatment from some staff members and emerging with enhanced musical knowledge and a love of rock, pop and other non-Appalachian forms of music. 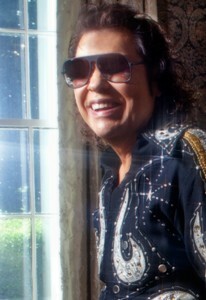 One of country music’s most influential and accomplished performers, Ronnie Milsap has a career that spansover 40 years and is known as one of the most successful country cross-over artists of all time. He is credited with 6 Grammy Awards, 40 #1 country hits, and has sold over 35 million records. 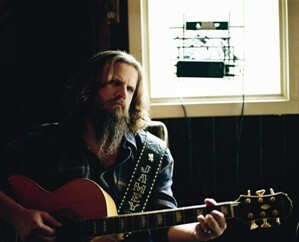 Acclaimed singer-songwriter Jamey Johnson has been showered with plaques, trophies and award statuettes, but they aren’t the answer to his dreams. "My dream already came true," says the Alabama native who has rocketed to Nashville stardom. "All I ever wanted was to get to just ride around and sing country music. It’s cool when things happen along the way, because those are things I never thought I could achieve. But whatever happens, I’ll just keep on doing what I do. I wake up every day and go play some more country music." The things that have happened along the way includesongwriter awards for 2005’s "Honky Tonk Badonkadonk," which Jamey co-wrote for Trace Adkins. In the spring of 2007, the Academy of Country Music gave Jamey a Song of the Year award for co-writing the George Strait hit "Give It Away," and the Country Music Association did the same later that year.During 2009 and 2010, Jamey collected five Grammy Awardnominations. From their extensive work with World Vision, Habitat for Humanity, the One Campaign and Land of a Thousand Hills Coffee, which aids farmers in Rwanda, to its own Come Together Fund, the Grammy award-winning Third Day has long been about putting its faith in action. 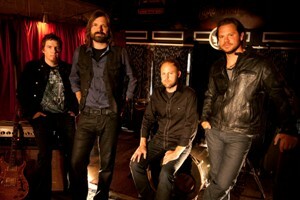 Sharing hope and truth through music has always been Third Day’s mission. The band has earned 27 #1 singles and sold more than 7 million albums which reflect 2 RIAA Platinum and 9 Gold Certifications. A recent Georgia Music Hall of Fame inductee (2009), Third Day has garnered 24 career GMA Dove Awards from 42 nominations, 4 Grammy Awards (with 11 career nominations), an American Music Award(11/24/2008 - during itsRevelation promotional window),3 American Music Award nominations and multiple ASCAP honors for songwriting. Third Day’s memorable “Call My Name,” off its Revelation project (7/29/08), was even selected by Keith Urban as a bonus track on his Defying Gravity project. Fans of all music genres will experience non-stop entertainment by today’s most popular acts from dual headline stages set at the pristine 1600-acreBamaJam Farms, “Where God and Country Coincide.” Come for the music, cool down in the new water park (opening spring 2012), explore the ATV trails, tailgate at the camping sites, park the RV with full service amenities or swing a club or two at the par 3 executive golf course onsite. Country star and BamaJam Farms spokesman Darryl Worley will perform and host the opening night of what promises to be one of the grandest outdoor entertainment extravaganzas. BamaJam 2012 is a production of BamaJam Productions, LLC. For more information about BamaJam 2012artists, tickets, camping, directions, parking, sponsors, jobs and vendors, please visitwww.bamajam2012.com.